thanks, i needed some extra eye candy to look at! lol! Who couldn't want those dreamy eyes? But ONLY if her were dressed like Kirk. I'm not completely gay you know. wow. my first time to your blog, and What an Introduction. thank you!!! As a new reader I realize that may be a little weird, but seriously, after every post I've read I shout "ME TOO!" My co-workers are probably ready to commit me for talking to myself! 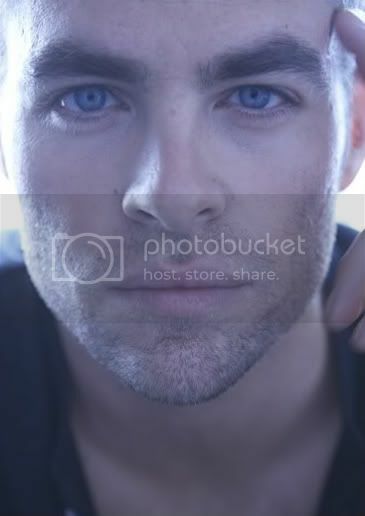 Love your blog, True Blood and Chris Pine (yumo!). You've got a faithful follower in me!